Posted 29 July 2015 by Jack Adamson & filed under Articles, Business, Marketing. Maximising your retail revenue isn’t just a case of offering the right products at the right prices. There’s an art to optimising in-store sales and you’ll need to master the fundamental principles of shop design if you’re to achieve the highest possible sales levels. Here are just a few of the ways in which the layout of your retail units can hit your bottom line. Consumers these days don’t have time to hang around. Given that they can access many goods and services at the click of a button over the web, people tend to have limited patience when they are searching for products on the high street. So, if you’re to convert footfall in your shops into sales, you’ll need to offer a streamlined purchasing process. This means providing enough cash desks and making sure you have sufficient sales personnel to staff them. You may want to speed things up further by incorporating self-service checkouts into your stores. By ensuring people don’t have to spend long waiting in queues to buy the goods they are after, you stand to up your sales and raise levels of repeat custom. Of course, convenience isn’t the only thing that motivates shoppers. In fact, the psychology behind our purchasing decisions is highly complex. If you’re to increase profits at your outlets, it helps to understand at least some of the science that underlies shopping behaviour. For example, pay close attention to your displays. According to point of sale (POS) experts CJ Retail Solutions, well maintained displays play an important role in driving customer engagement. Supermarkets are masters when it comes to arranging displays. One of their tactics is to put products with the highest profit margins at eye-level. Experiments have revealed that when people walk down aisles, they tend to focus on the shelves that are level with their eyes, meaning they are more likely to buy the goods that are placed there. You might also benefit from positioning some of your best selling products, or ‘destination goods’, towards the back of your store so that people have to walk past (and potentially pick up) other products on their way to reach them. Another tip is to place smaller goods that people might buy on impulse on your POS displays near your tills. Conversely, try to avoid displaying products in the area located just inside your door. When people first set foot into your store, they are still adjusting to the new environment and may not yet be in buying mode. This means there’s not much point in trying to capture their attention with specific products. Instead, you could use this so-called ‘dwell zone’ to lure people further into your store using attractive signage and appealing displays. 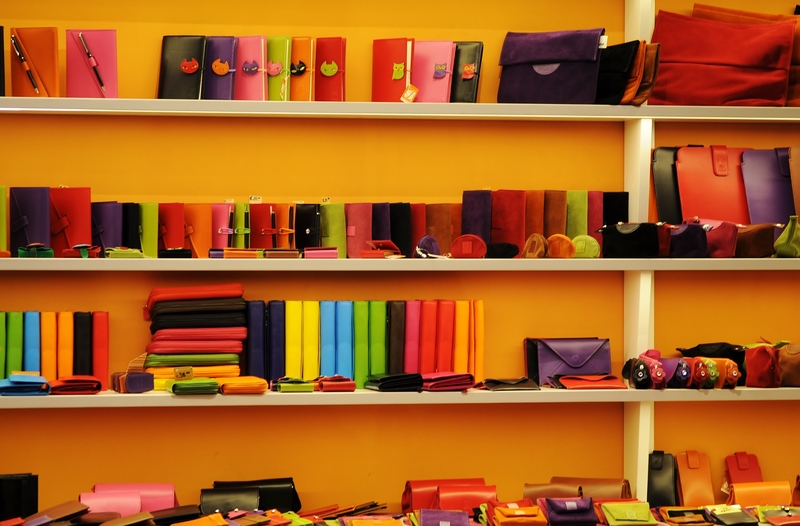 The layout of your retail outlet should also do your stock justice. For example, apply the principle of triangular balance to your shelves. This simply means placing the biggest and most high profit goods towards the centre of your shelves and flanking them with smaller products to create visually appealing displays. This will help to draw attention to your high value products. Also, make sure your store is set out in an organised way that shoppers find easy to navigate and keep your displays tidy and well-stocked at all times. Messy or bare shelves can be a real turnoff to shoppers. By paying attention to the layout of your shops and following advice like this, you stand to boost your bottom line.